Looks like the Rajkot police had a woman attempting to commit suicide in their station as they didn’t “Help” her with her dowry harassment complaint. This feels more like a case of mental sickness than dowry harassment. Here is an inspiring story of a very forgiving school teacher and father in law. The cops humiliated him and his family. There is a lot written about horror faced by families who get entangled in 498A cases, but nothing is said about the consequences faced by women who file these cases, if the plan backfires. 498A is ultimately a gamble. These women file cases at the advice of their lawyers, close relatives with vested interests or just to persecute the hubby and in-laws or to defraud the hubby and his family as they know that this law is actually designed to be more effective as a tool for extortionists and blackmailers than for protecting women facing dowry harassment or domestic violence. 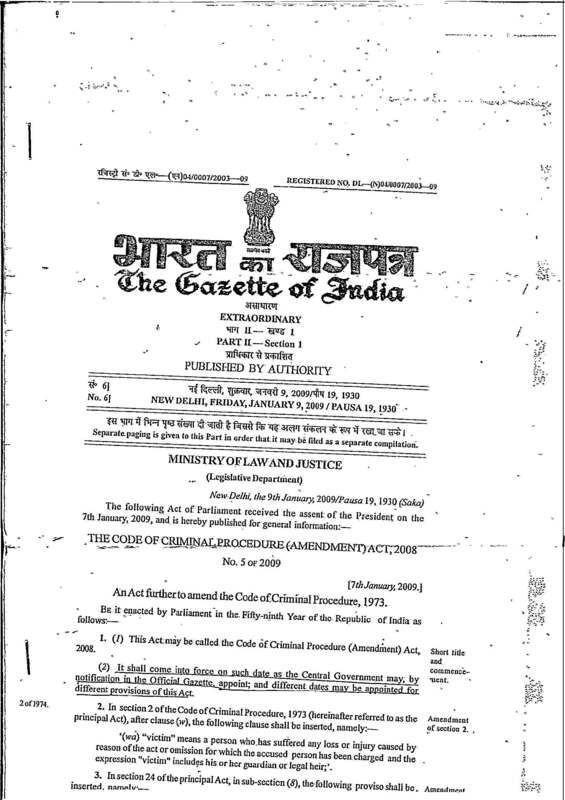 The best source to know more about the consequences of filing a false case is the document by Madhu Purnima Kishwar (http://tinyurl.com/2rbmxs). She is a respected fighter for women’s rights, unlike the tabloid feminists of today who misrepresent facts and who hog the headlines with shrill statements (remember the Pooja Chauhan episode?). Read this article in the LATimes to get an idea about what divorced womens finances look like. Divorce after a 498A is guaranteed. 498A is a nuclear weapon. It should never be used for any other purpose than what it was intended for, which was to protect women from dowry harassment. It was not designed to allow it be used to settle scores or as an extortion tool. If the accused fight back, the filers of a false 498A will face the consequences. She won’t get married again. The reason being our very conservative society. Feminism may be a fashionable thing to bandy about, but no family, including the family of the filer of a false 498A, would like to admit one of their own into their homes. This is all about power politics in relationships and once it is known that a woman had filed a false 498A, she will be treated like radioactive material. Her sister(s) may eventually run off with the milkman or something along similar lines may happen as they risk remaining spinsters. Any sisters-in-law she may have will turn against her as time goes by. Her brothers may not get married again. Think about this. Would you be willing to send your sister/daughter into a home where there is woman who has quarreled with a decent husband and used the law to terrorize him and his family? How happy would your sister/daughter be in a home like that? How secure would a family feel, if the sister of the woman who filed a false 498A enters the house as a bride? It also says a lot about that family that they did not discourage her from doing so. The filer of a false 498A may face arrest under Section 182. The sentence may range up to 6 months. If kids are involved, their well-being may be threatened as fathers play a crucial role in the up bringing of a child. A 498A almost always results in a divorce. If the 498A is being filed at the instigation of close relatives and for no valid justification, be assured of this, once the relatives get what they want, they will abandon the woman. The woman may get fined by the court for filing false charges. Click here for the news article. Go through the The 498A Survival Kit if you anticipate a false 498A. Here is a link to an article on BBC online. This will give a clear idea about section 182. “Is it an offence to register/lodge false FIR ? Lodging of a false FIR/complaint is punishable under IPC. Here is a list of news Items about Section 182. All the cases above are trivial ones. No one is hurt, nobody has their fundamental rights violated, no one is subjected to the blackmail or extortion. Why don’t the cops start registering cases against these women who abuse 498A ? Some guy has filed an RTI against the MPs. Here is my question. If a guy can file an RTI against the MPs, why can’t the 498A affected folks file RTIs against the cops, if they feel the officer did not do his duty ?